Make someone happy with this unexpected gift voucher! Too many choices or as a gift for someone else? Make someone happy with this unexpected gift voucher. 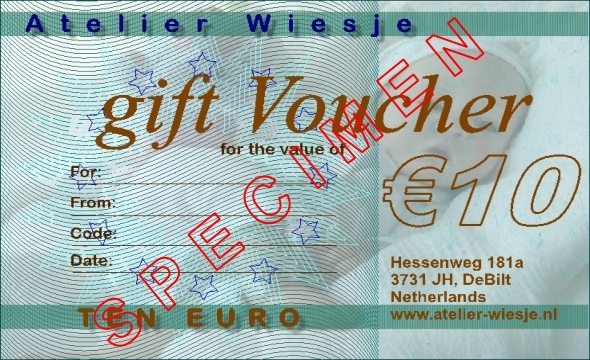 Fill the complete name of the lucky person in and the name from who this gift voucher comes. We can send the gift order directly. The shipping dates can you fill in on the order form.